As Jacó lies on the seashore, climate is normally humid, with relative humidity around 80%, reaching 90% in June. Temperature is 85–90°F (24-32°C) during the day and 75–80°F (24-26°C) at night. During the dry season, away from the water, the temperature may consistently reach 95°F (35°C) or above. Jacó lies between several mountains, and is neighbored by the beaches of Herradura Bay to the North, and Playa Hermosa to the South. At about 15 miles north of Jacó, lies the Carara National Park, recognized for its exuberant wildlife and dense rain forest. Carara is home to one of the largest remaining populations of wild Scarlet Macaw in the country. Today, Jaco beach Costa Rica is still the destination for all types of visitors. Local and foreigners alike enjoy all the facilities, attractions and conveniences of this diverse area, as well as its proximity to the capital. Jaco is a great base for all sorts of tours: canopy/zipline tours, white water rafting, diving, fishing, and much more. Monte Carlo offers full concierge assistance and will help book tours. Each unit has a kitchen ready for some cooking. Local grocery stores are Maxi Bodega, Mas X Menos, Mega Super, Super Compro and in Herradura, the Auto Mercado. Also, every Friday there is a local ”Farmers Market” which is a fantastic option for finding a variety of fresh fruits and vegetables at reasonable prices. As a beach town, Jaco offers excellent fresh seafood from nearby fish shops. Jaco presents many options for dining out as well. There are countless national andinternational restaurants, such us Lemon Zest, Wahoos, Pili Pili, Jaco Taco, Taco bar, El Bohio, El Hicaco, Grafitti, Wishbone, The Wok, Rioasis and so much more. 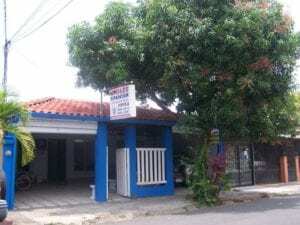 Jacó also has some international options such as Pizza Hut, Subway, KFC, and Quiznos. Most restaurants offer express/delivery services. Another eating option : the famous “sodas” (typical diners) “Sodas” offer a plate of food with a drink for less than $6. Jaco is an excellent place to visit for its beach and warm-tropical weather, its proximity to the biggest Costa Rican Airport and to many attractions such as Manuel Antonio National Park, Carara National Park. Jaco also provides visitors with beautiful sunsets, exciting nightlife, lively bars, bank services, souvenir stores, and more. The best option to enjoy Jaco is in a fully equipped luxury condominium. Its comfort, privacy, security, space and services offered make it the ideal choice for lodging. 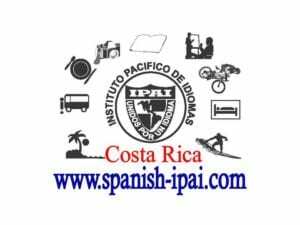 IPAI is a Spanish school in Costa Rica, they offer Costa Rican host families for weekly immersion programs that include surfing classes. They have over 20 years of experience. Study and travel in Costa Rica in IPAI’s two campuses, Heredia and Jaco beach. Small groups, 3-4 students per class (maximum), two-hour/four-hour day intensive lessons from Mon. to Fri, individual attention, certificate, registration fee and books included & placement examination. La Iguana at Los Sueños offers an extraordinary encounter with nature at every hole. The majestic natural beauty that surrounds the course is rivaled only by the excitement and challenge of play. It is not uncommon to see playful monkeys, three-toed sloths, brilliant-colored toucans and scarlet macaws along the fairways. In fact, La Iguana’s forecaddies have been specially trained to point out over 150 species of wildlife to players and they make their way through the unique rainforest course. Designed by Ted Roninson Jr., this 18-hole, par-72 course combines incredible scenery with challenging golf. There are many renowned spa salons available where you can indulge your wishes. Highly qualified professionals and therapists are trained to deliver the best, either at the salons or in the comfort of your own condo. Treatments available in 30, 60, or 90 minute blocks are: Deep Tissue, Aromatherapy, Reflexology, Manicure, Pedicure and many others. Do you like to gamble? Go to any of the Casinos in town. Just a couple of blocks away from the Monte Carlo, you can find the Cocal, Amapola and the famous Croc’s Casino. Just 15 minutes driving is the Marriot. Blackjack, Caribbean Poker, Roulette and Slot Machines are there to have fun and try your luck. Would you like to eat your own fish? Here is your Sport Fishing tour! With an abundance of big game species and calm waters, Costa Rica’s Pacific coast is the most favored of the fishing destinations worldwide. Inshore fishing: rooster, snapper, grouper, Spanish mackeral, jack, wahoo, cubera, rainbow runner. Offshore fishing: sailfish, blue marlin, black marlin, striped marlin, runa, mahi mahi, wahoo. We can arrange your perfect fishing day, with any of the different operators based in Herradura or Quepos, half day or full day. 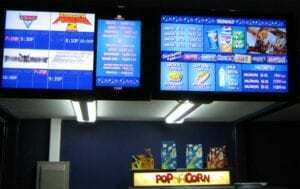 Now you can enjoy the beach, surf, adventure, nightlife, AND a good movie! 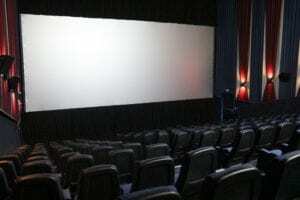 Right across the street from the Monte Carlo, in the shopping Center ”Plaza Coral” there is new Movie theater–a great place to enjoy a good movie. You can check this link https://www.citicinemascr.com/cartelera/ to know which movies are available.